Green Glue Noiseproofing Compound must be applied at room temperature conditions within the range of 65°F to 85°F. During the winter months, cold weather can cause installation problems of Green Glue. Cold or partially frozen Green Glue will not flow out of tubes easily and does not setup on the drywall properly. This blog post will give some pointers to help avoid common winter issues. Always store Green Glue Noiseproofing Compound and Sealant in conditioned space before and during install. Do not store these products in garages, unfinished basements, or outdoors where the temperature will get below 60°F. Avoid letting Green Glue freeze. Both the Compound and Sealant are Freeze/Thaw stable so the materials are not damaged if frozen. However, frozen product must be given ample time to properly thaw out before use. Move frozen product indoors and do not use until fully thawed. Do not put in hot water or expose to 85°F + temperatures. Freeze/Thaw Stable: In the past, Green Glue was not Freeze/Thaw Stable and if frozen the materials would separate after thawing. Luckily the formula was altered under Saint Gobain's management. When thawing Green Glue Tubes make sure to place the tubes nozzle side down. This will prevent the tubes from possibly leaking out of damaged tube plungers. Green Glue Noiseproofing Compound should easily flow from the tubes or pail dispenser gun. If you notice that it is not dipsensing properly this means the product is not thawed 100%. Do not use Green Glue on exterior applications. This applies not just to winter as Green Glue Noiseproofing Compound is not intended to be used in unconditioned spaces. The compound is unable to be effective as a damping product in cold or hot temps. Purchase your Green Glue from Buy Insulation Products not only because we offer the lowest prices and fast free UPS shipping. 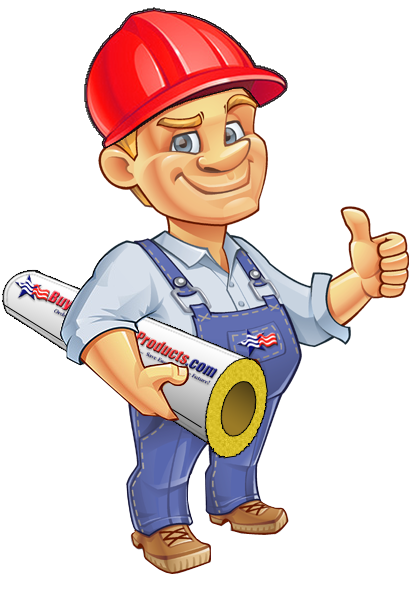 Buy Insulation Products also only ships out fresh product and during the cold months our warehouses store Green Glue Noiseproofing Compound Tubes and Pails in heated areas. » How Much Rewettable Canvas Pipe Lagging Do I Need? » Do I Need to Use a Follower Plate for Green Glue Noiseproofing Compound 5 Gallon Pails?